February 8, 2013  Twitter's Vine video app is just 2 weeks old, but it's already been updated to add a 17+ rating. However, any user can just click "OK" to get around the age limit. Internet safety advocates say social media sites aren't doing enough to protect younger users from inappropriate material. 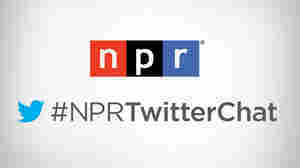 February 4, 2013  Late last month, NPR and Twitter joined forces to share tips for using social media in the job search. Here's a roundup of the advice. January 24, 2013  Twitter launches Vine, a video-sharing app that allows users to post succinct videos directly onto tweets. The app is reminiscent of Instagram and seems familiar at a time when animated GIFs are all the rage. January 7, 2013  On Jan. 31, NPR and Twitter are co-hosting a Twitter chat to help you get a handle on effectively using Twitter as a job search resource; and give you valuable insights directly from recruiters, HR professionals and hiring managers. December 12, 2012  Pope Benedict XVI writes and sends his first tweet on a new personal account, which has attracted over 1 million followers. 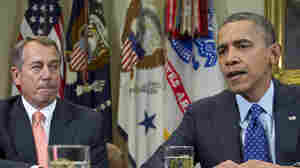 December 3, 2012  Brinkmanship has long been a mainstay in Washington politics, and so it is still. Which is why it might be too early to give up hope that President Obama and congressional Republicans can reach a "fiscal cliff" deal despite how far apart the sides were Monday. 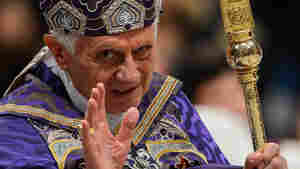 December 3, 2012  Beginning on Dec. 12, the Vatican says, Pope Benedict XVI will be answering questions about faith. Can he say much in 140 characters or less? Well, the Church does have Ten Commandments that each come in under that length. November 8, 2012  The micro-blogging service has warned many users that their accounts may have been "compromised" and that they should immediately create new passwords. While details haven't been released about where the threat is coming from, some users are pointing to China. 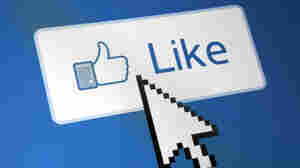 How Much Is A 'Like' On Facebook Worth For A Company's Share Price? October 23, 2012  Companies that provide financial data are increasingly interested in our "likes" and tweets. 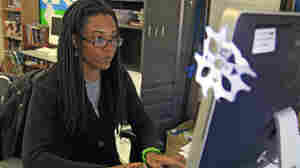 A Ph.D. student recently studied how positive social media mentions are linked to stock market performance, and came up with some interesting results. October 19, 2012  The micro-blogging site has begun implementing a policy of weeding out and removing offensive content from its site at foreign governments' requests. October 4, 2012  NPR's global health correspondent Jason Beaubien just returned from a remote region of northern Nigeria, where he was reporting on the tragic lead poisoning of thousands of children. Beaubien chatted yesterday on Twitter about this crisis and his reporting from this rural corner of Nigeria. September 13, 2012  Join Tell Me More's education conversation on Twitter today, using #npredchat. 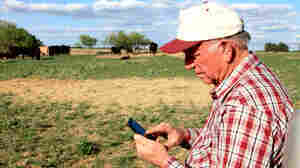 August 24, 2012  Farmers are getting real-time news they can use, and moral support, from other farmers on Twitter. The social networking tool is especially important in this year's severe drought, which is affecting most of the country.